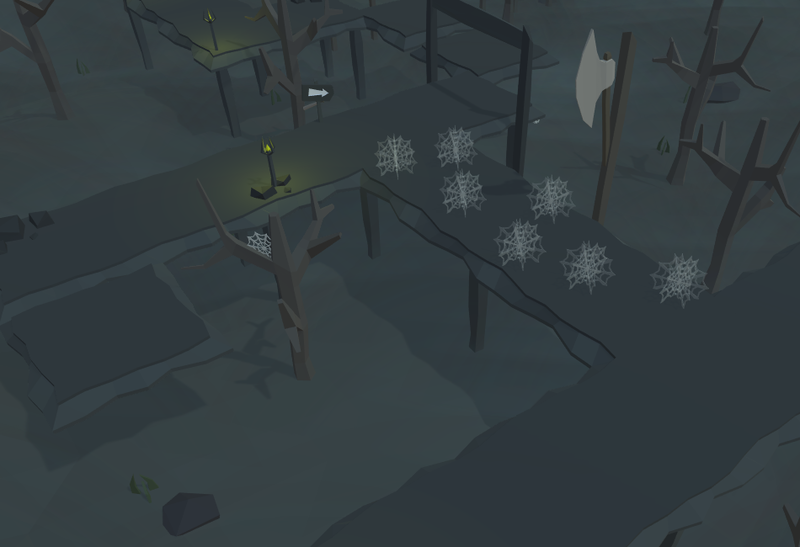 The Halloween update introduces our second environment: Haunted! When creating a server, you'll now be presented with an extra choice: the environment. 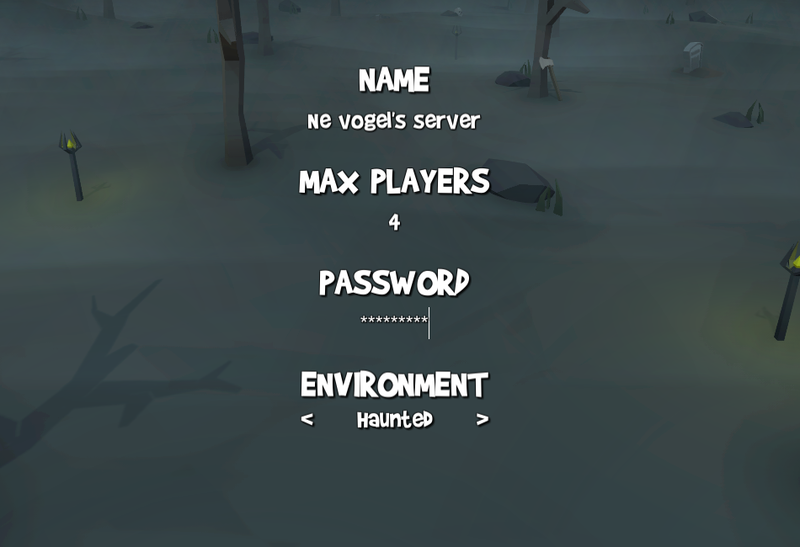 This is where you can select either Forest or Haunted. We'll be starting out with 2 different maps, and adding the other 2 maps (for a total of 4, like Forest) in the coming updates. This way, we can find issues easier and fix them without having to change all maps. These do what you'd expect them to do. They go up and down and deal massive damage to players hit by them. That's right. Massive. They are very thin, making them easy to avoid. However, they will instantly kill you if you get hit by them. Webs slow any player that is currently touching them, by quite a large amount. 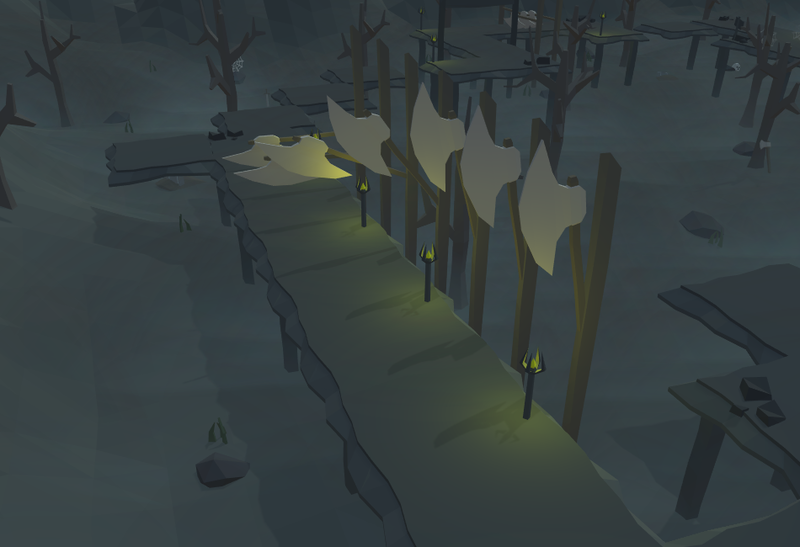 You can simply walk around them, but they sometimes block off shortcuts. This means you'll have to make the choice of either taking the shortcut and rendering yourself vulnerable to the leader's abilities, or taking the long way around. These are the Tropical Wagtails' spooky friends. Just like the ability, they slow and damage players that are hit by them. 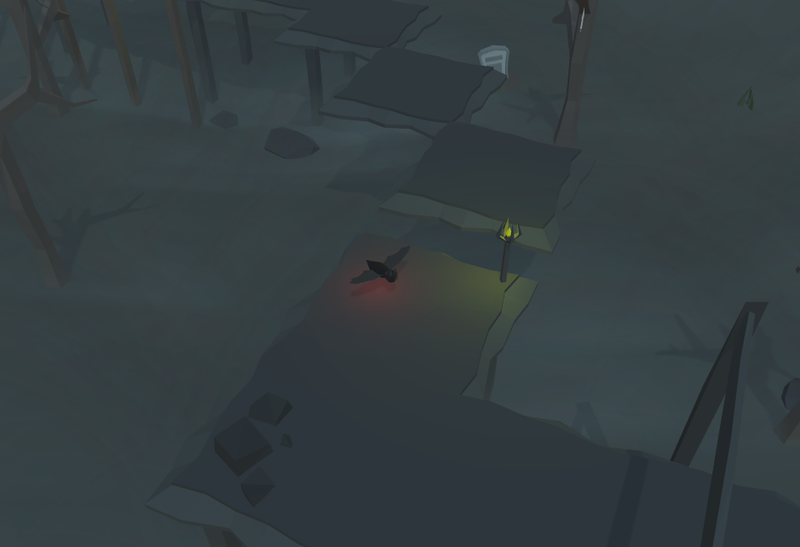 However, they roam around the WHOLE map, so you'll have to keep an eye out for them at all times. We'll be expanding on the haunted environment, meaning there will be Haunted Challenges, Abilities, and Accessories coming soon! For those who don't know, Scuttlers is currently on sale for Halloween on Steam, at 60% off! When creating a server, the server will now have a default name: [Your Name]'s server. The main healthbar in the new UI will now properly display the dragging effect like the smaller healthbars do.